For Custom Pipe Fitting in Chicago, Call 1-312-427-8900! As a commercial or industrial building owner, you probably have complex piping system needs, from steam and hot water to compressed air and gas. The proper piping services are required to ensure a safe, properly functioning building. Thanks to our diverse mix of mechanical and specialty contractors, Murphy & Miller can expertly handle all your piping-related needs, from the initial system design and custom pipe fitting to future repairs and maintenance requirements. Our team is certified, licensed, and exceptionally trained to ensure we offer the highest quality service and most cost-effective products possible. For piping system services in the Chicagoland area, please contact Murphy & Miller at 1-312-427-8900. 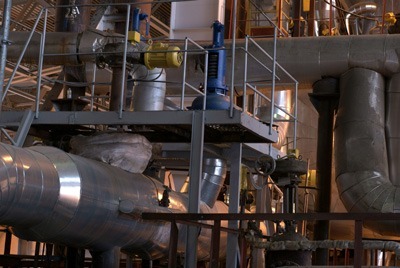 Do you already know precisely which process piping solutions you need? Or could you use a little help from our expert engineers to design a new piping system? No matter what level of assistance you require, we have the experience and knowledge necessary to complete your project. Are you looking for custom pipe fitting services in Chicago? Let us help you with industrial process piping! Call 1-312-427-8900! If your Chicago building uses steam or hot water as its heat distribution system, it’s important to have the piping properly designed, installed, and maintained to maximize boiler and radiator performance. Whether you’re interested in installing or upgrading pipes for steam or hot water systems, Murphy & Miller has you covered. You may be aware that steam heating is quite inefficient because the process of boiling and condensing water is less effective than more modern heating solutions. Non-insulated pipes can also deliver unwanted heat to unoccupied areas, a problem that can be remedied with fiberglass insulation. Hot water radiators are a more modern option second in popularity to forced-air heat distribution systems. Unwanted air in the system is the most common problem with hot water piping, which can be solved with proper system design and maintenance. The piping in your compressed air system can make or break the profitability of your venture. Inefficient piping materials, poor pipe layout, corrosion, and faulty connections can waste energy, wiping out your profit margin in the process. This is why it’s so critical to hire a compressed air piping expert to design, install, and maintain your system properly. A small investment in our services can help your business stay in the black. A medical gas piping system is required in healthcare facilities that need to deliver oxygen, nitrogen, nitrous oxide, carbon dioxide, and medical compressed air to designated places within the facility. Experienced engineers must design, install, and maintain the centralized medical gas pipeline to prevent cross-contamination, which could be catastrophic. Our piping services help you maximize the effectiveness of your medical gas piping to ensure a clean, safe solution for patients and staff. For industrial piping services, call 1-312-427-8900! With an amazingly rich history dating back to 1936, you know you can trust Murphy & Miller to satisfy our customers’ needs time and again. Over the past 80+ years, we have become experts at providing commercial and industrial building owners with the affordable, efficient, energy-saving piping they depend on for a fully functional business. In the end, our goal is to help your building operate as proficiently as possible for long-term savings. Our commercial HVAC company is based in Chicago and offers commercial piping services throughout the areas of Arlington Heights, Bloomington, Chicago, Cicero, Des Plaines, East Chicago, East Peoria, Elk Grove Village, Evanston, Lansing, Naperville, North Chicago, Oak Lawn, Oak Park, Peoria, Rockford, Rosemont, and West Chicago, Illinois. We also service Gary, Indiana. To learn more about installing efficient piping systems in your Chicago building, please contact Murphy & Miller today.